When one bakery owner decided to expand his business, all that he planned to execute is to buy an additional oven in order to increase production capacity of his bakery. However, it occurred that the case was not as simple as he thought. His mains also needed upgrading. And, what is more, he didn’t want to stop his business to carry out the needed mains retrofitting. Therefore, this owner was looking for a company that could provide quality electrical installation service with minimum interruption of his business as well as to accomplish the task in short time. He applied for a few engineering companies but chose our company due to the terms and conditions we were able to offer him. The most important detail for the client was work execution within 2 evenings in order not to interrupt the business process. And we pride ourselves on the fact we managed to fulfill this requirement as well. Providing electrical installation services in London we are used submitting to tight deadline, especially when dealing with commercial clients. We make every effort to meet your electrical needs and know how to organise project execution in the best possible way. Call us on +44 755 722 9457 in order to schedule an appointment or ask your questions. You can also send us email at [email protected] with your request. We are glad to assist you in every interesting and challenging electric project. Along with kitchen appliance installation and repair, these services are the core of our activities. However, we believe there is something else we are able and ready to help you with. We are talking about providing engineering consultancy for regular and new clients all over London. We never regret the time spent on providing you with professional advice and we are happy when it helps to solve your problems. Thus, the office building management received complete information about every detail of air conditioning system upgrade and its cost. Guided by this information the managers could evaluate possibility of project implementation in next few months. Our team strives to cover all your electrical, plumbing, and HVAC needs both by deeds and advices. You are also welcomed to apply to London Engineers Company for preliminary or full assessment. Moreover, you are always invited to call our engineer in order to ask all your questions by phone and get free consultation. How can it be that one day you turn on your air conditioner in your office and realize you are filled with unpleasant sensations caused by the out coming odor? 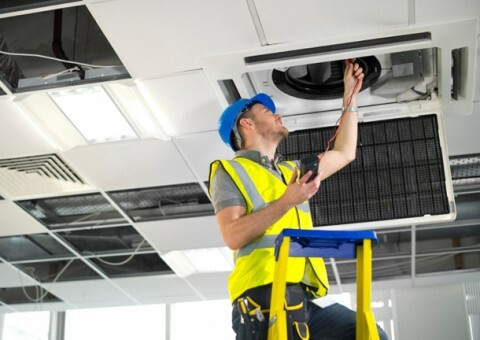 How came you didn’t notice this problem earlier so you could have enough time to provide your office air conditioning with proper service? And, more importantly, why did it happen at the worst possible time? Those were the thoughts occurred to one of our clients when he heard his assistant complained about the air con was blowing musty odor. It was going to be a disaster – very important negotiations were to take place in the office, and it would be such a shame if future counterparts notice this dusty smell. When he tried to remember when he had his unit serviced last time, he understood that it was more than 2 years ago. Well, it was high time to correct this mistake. So, he dialed London Engineers Company and asked whether we can reach his office the same day for air conditioning service. We are always willing to help our clients as soon as possible. Fortunately, that day we had a time slot for air conditioning service, and our engineer managed to accomplish cleaning the same day. So, the odor issue was resolved till evening and negotiations were flawless and successful. Remember, annually cleaning not only prolongs lifespan of your unit, but also reduces its energy consumption and ensures comfort and health for you, your stuff, and your customers. Get in touch with us to schedule an appointment or ask your questions – call us at +44 755 722 9457 or email at [email protected] All works are executed by experienced fully registered engineers. 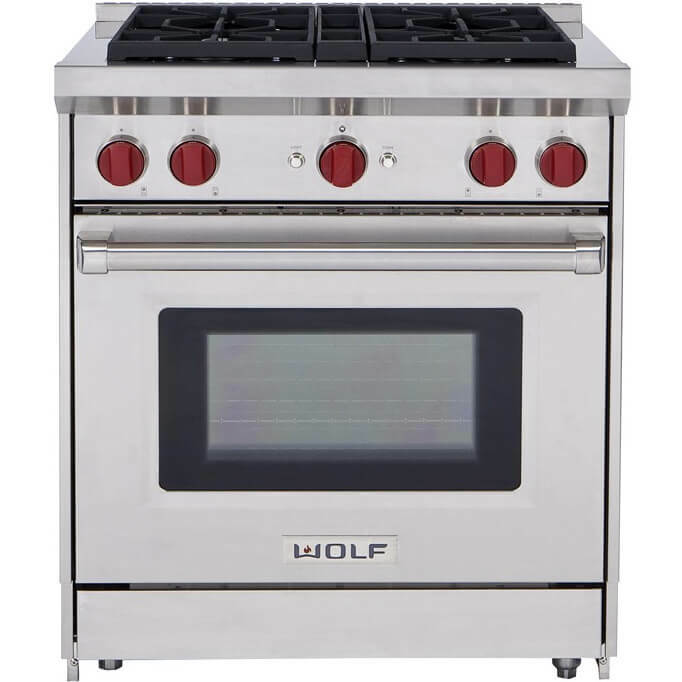 With Sub Zero refrigeration and Wolf cooking you feel yourself as the master of the universe concentrated in your kitchen. We understand, that you value this luxury brand equipment for comport that it brings to you as well as for its reliability – any of these units can last for decades. Our engineers involved in Wolf oven and Sub Zero fridge customer service are highly in demand for their client-oriented approach. For example, recently we were hired by one of family-owned restaurants to help with Wolf oven deep cleaning and to vacuum Zub Zero condenser as it is recommended to execute every 3 to 6 months. Being very popular, this restaurant was always crowded that meant its equipment was constantly in use. And we had to perform our task providing the least possible business interruption. Regarding client needs and priorities as our own, we cooperated with the owner to make a complete picture of his equipment workload. This way we managed to find a window in the constant orders flow and complete the job under this limit. Simultaneously with cleaning and vacuuming our Wolf experts inspected the functionality of the Oven Controller and Relay boards, ready to accomplish troubleshooting if necessary. We are always glad to help you service your fine Wolf or Sub Zero, so you can enjoy your cooking and refrigeration even greater. On Sundays, early in the morning, she baked London Buns. Her family members, awakened by sweet, warm, and eternally pleasant fragrance, eagerly anticipated the time they would be invited for a tea break in mid-morning. That was their little family tradition. At such moments she was proud of her old family recipe and her SubZero and Wolf appliances, also not very young but still the finest. But some time ago she began to notice that her buns were not as good as they ever were. She couldn’t get crisp her buns was famous and liked for. She changed the flour and tried different bake modes, but there was no result. “It seems my nice stove needs repair,” she decided at last with regret. For this purpose, she applied to the Wolf service center at London Engineers Company. Our experienced engineer set off for the call, fully armed with tools, part, and knowledge, that helped him to replace defective resistance temperature sensor in one go. So, the problem was solved fast and the family could enjoy crispy and delicious buns at Sunday tea breaks again. 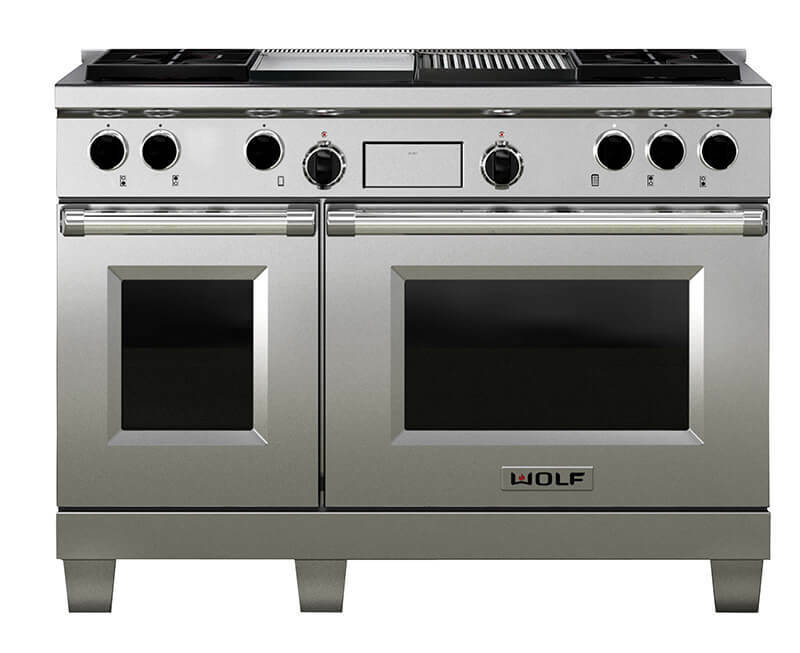 If you have ever to face your oven is not operating properly, get in touch with our engineer at +44 755 722 9457 or email us at [email protected] Be sure, for any issue with your Wolf appliance we are always ready to provide you with technical support and fix your problem fast.